Let’s get this Retro Holiday Party started! Emily Ellyn, Orlando-based Retro Rad Diva, known for appearances on Food Network’s “Food Network Star”, “Cupcake Wars”, multiple morning shows across the country and even a cameo cartoon appearance on the “Simpsons”, will be at Rosen Shingle Creek Resort, Saturday December 13, 2014 for the 3rd Annual Holiday Entertaining Retro Rad Style cocktail party. 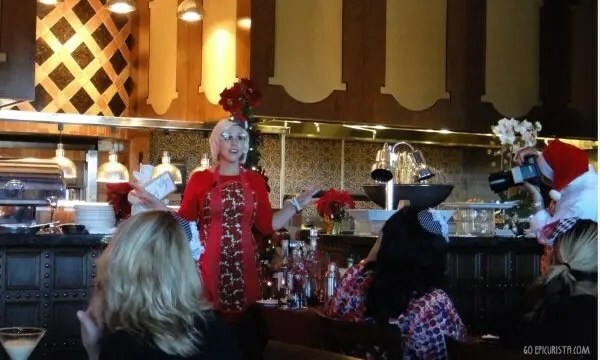 She will share all her retro holiday party tips and tricks and demo fun easy entertaining recipes while we sip holiday cocktails and nosh on swanky hors d’oeuvres. Emily Ellyn is a natural in front of the cameras! Once you meet Emily Ellyn, you just can’t help being pulled in to her fabulous retro rad world. Her quirky bigger-than-life personality is only matched by her big heart. 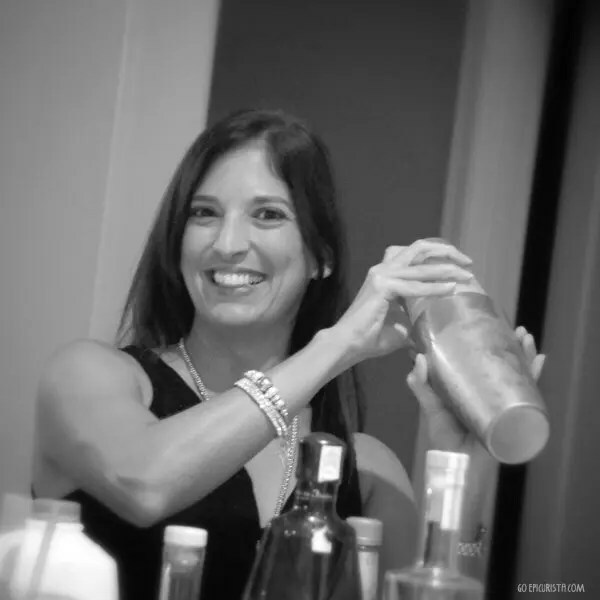 She not only donates her time and talents to various charities like Florida Hospital and Give Kids The World, but she also openly shares her culinary genius with everyone she meets. This girl is not all good looks and 1960’s fashion either. She’s getting her PhD in Food Service Education, lectures at the University of Central Florida, judges cooking competitions and speaks at events all around the world. I don’t know how she does it! 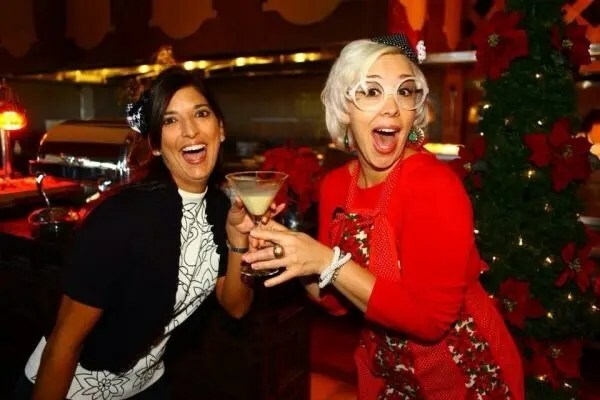 Her uncanny ability to turn any event into a fabulous affair and remix modern recipes inspired by traditional dishes is why this event is on the GO Epicurista Top 9 Holiday Celebrations in Orlando List. Don’t miss your chance to meet her and GO retro this holiday season! After last year’s event, I hosted a retro holiday party with my friends, where even the kids were praising the food – and they are the toughest foodies of all! Emily Ellyn was so gracious to share the recipes of all the dishes we tasted and now, with her permission, I get to share them with you. Entertaining for the holidays doesn’t have to be difficult. Just start with a fun cocktail, throw in some tasty retro nibbles, turn up the holiday music and, oh yeah, invite all your friends – they are the most important ingredient! 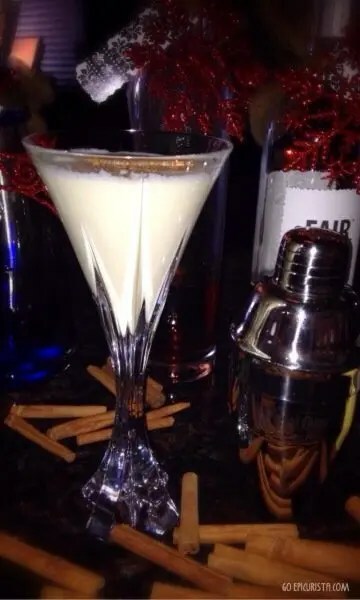 Cool Egg Nog Martini is to die for! ^ Fill cocktail shaker with ice cubes. Add eggnog, amaretto and vodka. ^ Shake vigorously until frothy and cold. ^ Strain and pour cold drink into gingersnap-rimmed glass for a rad remix! ^ Cheers to shaking up eggnog and making it current and cool! You will love these fragrant Citrus Scented Olives! 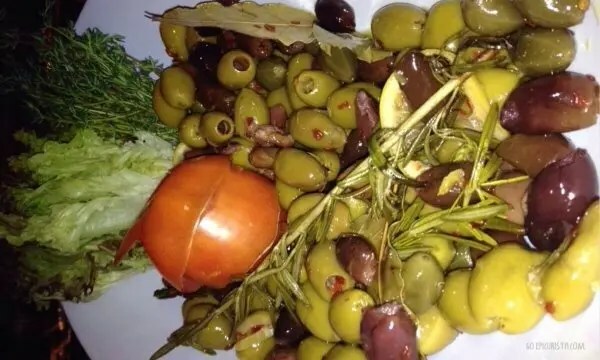 ^ In a medium saucepan, combine olives, capper berries, olive oil, orange slices, lemon slices, and fresh thyme. ^ Season to taste with red-pepper flakes. ^ Bring to a simmer and cook, stirring occasionally, 5 minutes. ^ With a slotted spoon, transfer olives, fruit, and herbs to a serving dish; reserve oil for another use. 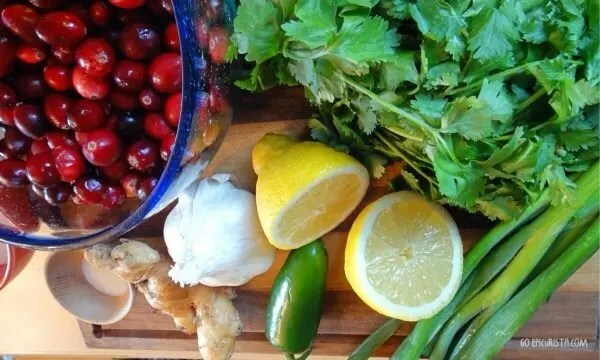 Fresh ingredients are best for a festive Cranberry Salsa! ^ Pulse cranberries and sugar in a food processor three or four times or until coarsely chopped, stopping to scrape down sides. ^ Add green onions, jalapeño, ginger, lemon juice, oil and salt; pulse three or four more times or until chopped. Stir in cilantro. ^ Top with a pinch of lemon zest and a pinch of lime zest. ^ Cover and chill for at least one hour and up to 24 hours. ^ Serve with tortilla chips. Garnish with lime wedges, if desired. Who doesn’t love chips and salsa? 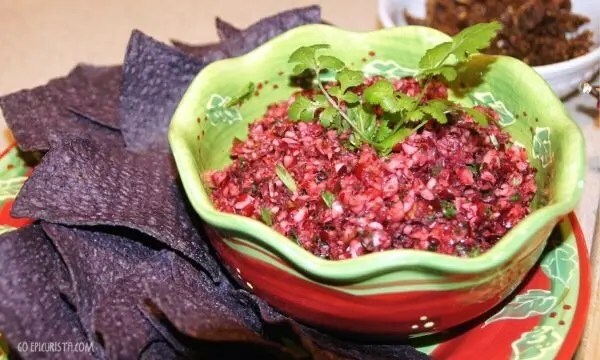 This is a fun holiday remix to the traditional salsa and I guarantee you and your guests won’t be able to get enough of it. The cranberries give it a nice tartness combined with sweetness from sugar and heat from jalapenos. We used the blue tortilla chips but if you find the festive green and red ones, use those for an extra festive touch. 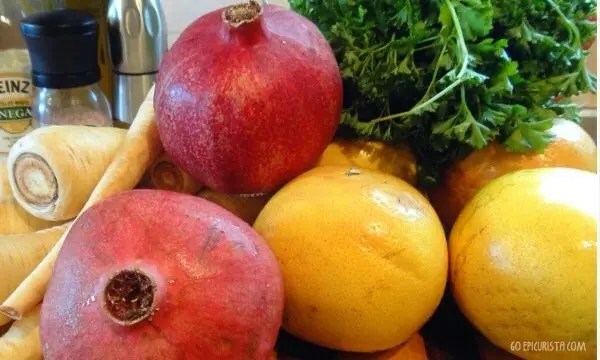 ^ Working over a large bowl, cut out grapefruit segments, and then squeeze ¼ cup juice from membranes. ^ Whisk in oil, vinegar, honey, and 1/2 teaspoon each salt and pepper. ^ With a vegetable peeler, shave parsnips on the diagonal into strips. 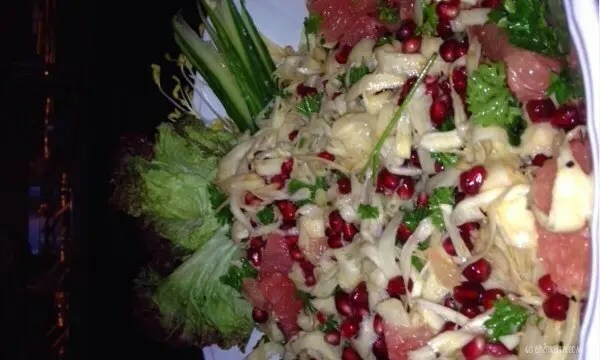 Add to bowl along with parsley and pomegranate seeds and toss. ^ In a large, wide saucepan, combine walnuts, sugar and water and bring to a boil. ^ Add sesame seeds, cayenne an d salt and cook over moderate heat, stirring constantly, until water is evaporated, about 4 minutes. 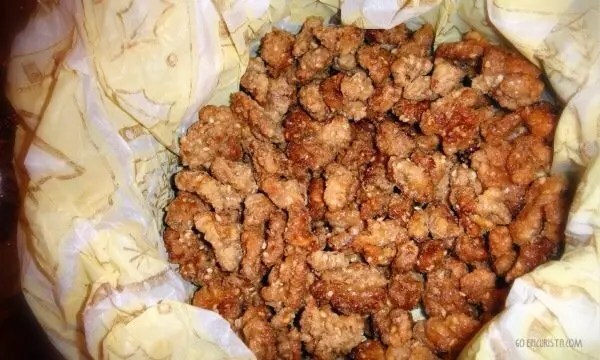 ^ Lower the heat and cook, stirring constantly, until the walnuts are golden brown and sandy, about 4 minutes longer. ^ Immediately pour the walnuts onto the prepared baking sheet and spread in single layer. ^ Bake for about 20 minutes, until nuts are deeply golden and covered with a sandy coating. Let the walnuts cool completely. ^ Break any large clusters apart, transfer to a bowl and serve. 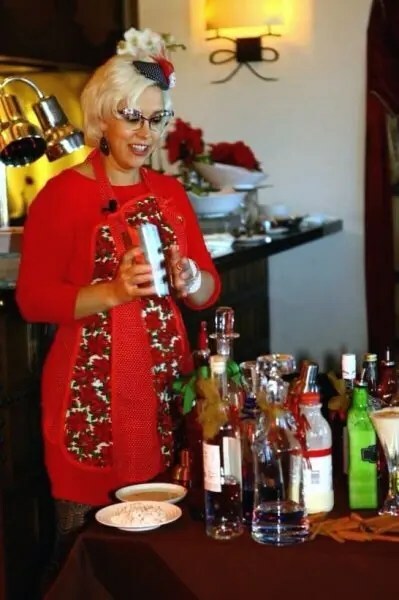 Make your reservations and join Emily Ellyn (and me!) at the fabulous Rosen Shingle Creek Resort, this Saturday December 13th at 4:30pm, as we go back to the 1960’s for the 3rd annual “Mad Men” inspired holiday cocktail party! Gather your girlfriends, have fun dressing up in your favorite retro attire and celebrate the holiday with hors d’oeuvres and cocktails. Enjoy holiday cooking demonstrations, food and cocktail making and go home with all the recipes! $30 per person. Call 407-996-4470 for reservations. Space is limited. For more information on all the fun holiday events taking place at Rosen Shingle Creek Resort, click here. Cheers Hamlet! Thank you for stopping by Go Epicurista! Sounds like an incredible time! Going retro always leads to fun times! Thanks for stopping by Cindy. Happy Holidays! Christina, I love sharing your blog. Thanks…………..